What was first a simple-sounding question ignited my thinking: What is the world menopause—which we use to describe a hugely important event in a woman’s life—actually conveying? I was quickly struck by the inherent inadequacy and outright misleading conceptions that abound on the subject. And also I was struck by how the language we all use to label and discuss this universal phenomenon in women falls short of properly conveying the true significance of the female life transition—a transition that means so much more than simply stopping our periods. What does “menopause” really mean? Words matter. They can deliver powerful messages, or they can oversimplify and give an inaccurate sense of the situation. Here is my powerful pronouncement: The word menopause is a poorly chosen word for this female process. We should banish it forever and replace it with a word or a phrase that signifies what menopause really means to women. But before I go further down the road of changing the English language, I probably should take a drink from the glass of realism and acknowledge that my wish to rename menopause isn’t likely to come to fruition anytime soon. So for now I will accept the word as it is and try to convey the true meaning of menopause while answering the question, “How long does menopause last?” The longer I thought about the question, one that I felt I could so flippantly answer at first, the more I came to see its complexity. 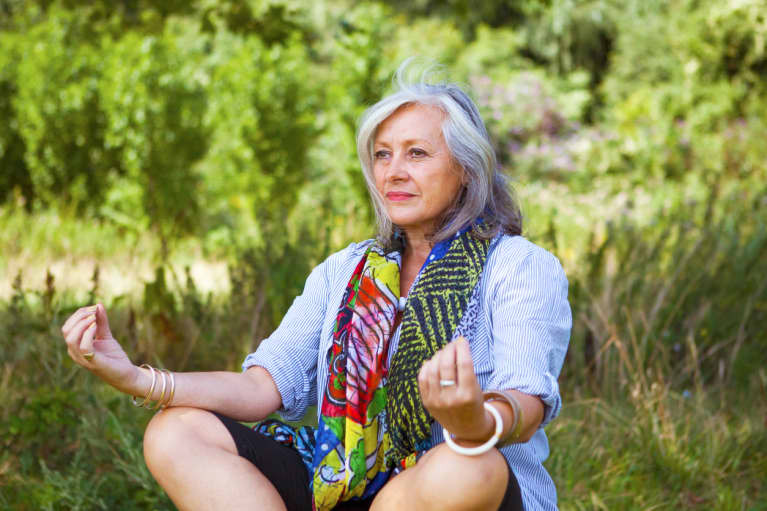 The very word menopause, is quite misleading because of its essential foundational implications—implying that this profound “change of life” is predominantly about the loss of monthly bleeding. The cessation of the menstrual cycle has long been the focus of menopause, followed by the acknowledgment that this proceeds to loss of fertility, followed by absolute sterility, and the ubiquitous hot flashes you always hear about. Menopause gives women little insight into the true significance of this major life event, mandated by nature to occur in the life of every single woman and having so much more meaning than the end of periods! Loss of the menstrual cycle is just the obvious manifestation of this whole-body event. Menopause, as you will shortly come to realize, involves the entire female body in a myriad of ways, which for reasons I cannot fathom, remains little appreciated by the medical world and not known at all by many women. But just as ignorance of the law is no excuse, so, too, ignorance of the laws of nature doesn’t mean that you will not be affected by them. Before getting back to the big question hovering over us, let’s look for a moment at the label given to this process: “menopause.” Menois from the Greek language, signifying “moon,” and pause means “end” in this context. Menopause, therefore, refers to the cessation of the lunar cycles of female bleeding. 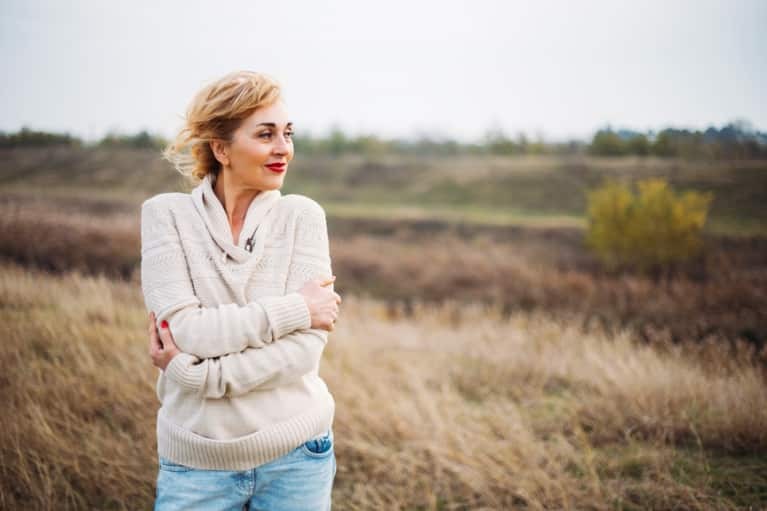 When you first enter menopause, your ovaries start producing estrogen erratically, producing eggs (ovulating) irregularly—and then not at all—while winding down their production of estrogen and progesterone. The best way to think of the etiology of menopause is that it’s all about the aging of the ovaries, the loss of their production of estrogen and progesterone. And of course, that means fertility ends along with absent periods. Menopause not only means no more periods; it means no more babies. That fact of menopause is true and a well-recognized issue, one that some women rejoice over while others feel despair. Is menopause about more than just fertility? Now I’m going to shatter your preconceived notions of menopause and what it means to go through it, before I finally tell you how long it lasts. The very big take-home message from me to you is that menopause, with its loss of fertility and the monthly bleeding cycle, also has huge implications affecting virtually every aspect of a female’s body and her overall health and well-being. Menopause is a universal health challenge for all women. This may come as quite a surprise because not many people are talking about the enormity of the impact, but regardless of what is generally being said, it is without a doubt the truth. 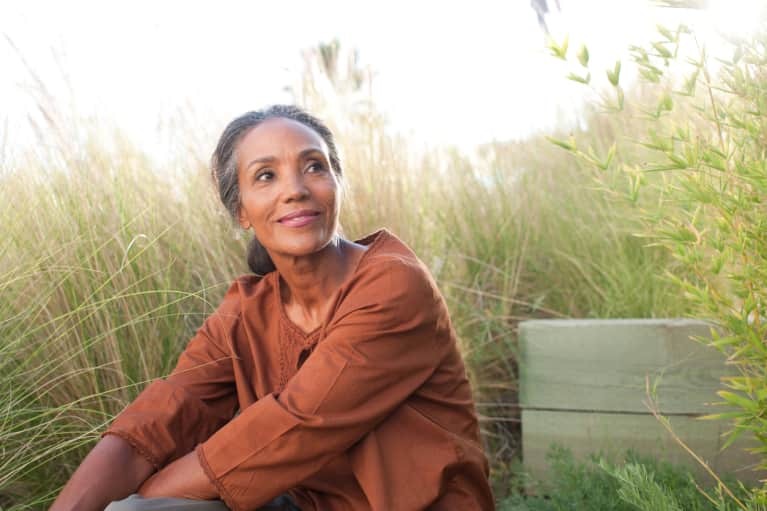 Menopause is a huge thing all women have to confront because the reproductive processes of the female body are intricately interconnected to the health and function of the entire female body. This is especially true when it comes to metabolic health. This is because estrogen, the hormone of menstrual cycles and pregnancies, is also the master of metabolic homeostasis. Metabolism deals with the essence of life, the cellular production of energy. Metabolism involves appetite, emotions, thinking, moving, breathing, digesting, eliminating, and more. Metabolism is what gives life its “oomph.” What that implies is that reproductive success, the main directive of life, is linked to the state of metabolic health of the woman. How is ovarian function connected to well-being? Pregnancy requires enormous amounts of energy to be a success. It requires a healthy metabolic state for a healthy baby to be produced, delivered, and ultimately raised. Nature only wants success, so it puts obstacles in the path of women who aren’t healthy enough to deliver and care for a healthy baby. To accomplish this, nature shuts down or alters the lunar menstrual cycle to lower the chance of fertility. It’s something of a fail-safe system designed to protect the woman. If she can’t reproduce now, hopefully in the future she will be able to do so safely and successfully. That is why we gynecologists who understand the connection between the menstrual cycle and overall female well-being now view the monthly cycle as a “vital sign.” A vital sign is a measure of one’s foundational well-being (pulse, blood pressure, and temperature are some other monitored vital signs you may be more familiar with). Any woman with issues surrounding her menstrual cycle, whether they be irregularity, complete absence (amenorrhea) of a period, bad cramps, heavy flow, or premenstrual syndrome, needs to be carefully and thoroughly investigated for underlying health issues, medical and emotional—which are, of course, tightly interrelated. What happens in the body when estrogen production halts? Indeed, the essence of all health and well-being is in some way involved with the master of metabolic homeostasis, estrogen. And we women are all destined to lose the production of estrogen from our ovaries, for that is what happens to us as we progress through the process of menopause—the menopausal transition. And as a technicality, one’s final period is when the official clock starts ticking down the time. Officially, you’ve arrived at what has been labeled menopause after you’ve had no periods for a total of 12 months. But does that definition even matter? Menopause must be looked at far differently than that simplistic definition would imply. Menopause does involve the end of our cycles, but now you’re realizing that menopause, and the loss of estrogen, can itself be looked at as a vital sign of metabolic state. In its wisdom, nature ensured that older, less medically capable women wouldn’t get pregnant. We all become sterile long before we reach the age of 60. And that makes sense. It also makes sense that estrogen is not just about periods and reproduction. It is about monitoring and controlling the very processes needed for life, reproduction being just one of them. And though our reproductive capabilities must end, our lives do not, and we continue to live without that estrogen and progesterone from our ovaries. What happens when we go through menopause? hot flashes, which are a sign of inflammation of a sort of our central nervous system—a dysregulation of the temperature regulation center of the brain. Is menopause different for every woman? Menopause is truly a process of ovarian aging, known as senescence. That being said, it’s a personal and unique journey for us all. Menopause in some ways begins in the womb, as our ovarian eggs, our oocytes, begin to die even before we’re born. Menopause is just a part, though a big part, of the life of every female. It’s a process we all go through but only become aware of when most or nearly all of our oocytes are gone. We never know when the last is gone. No bells ring. No whistles blow. The last period is the start of the countdown and eventually you are labeled “in menopause.” Short of a surgical removal or end to our ovarian function, we cannot know ahead of time when exactly it will happen. 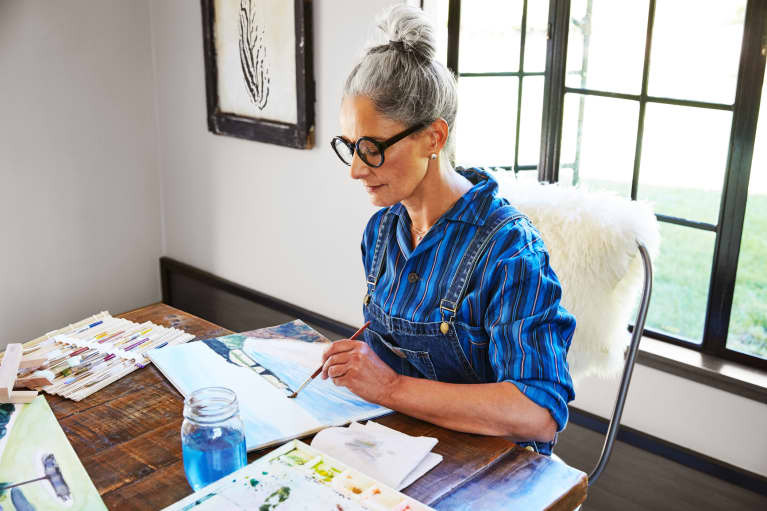 Once you reach that official one-year mark of no periods, you are officially “in menopause,” and you’ll stay there for the duration of your life—sometimes called the postmenopausal years. How can we redefine menopause?